The principal goal of integration in Europe has always been the safeguarding of peace through economic integration. 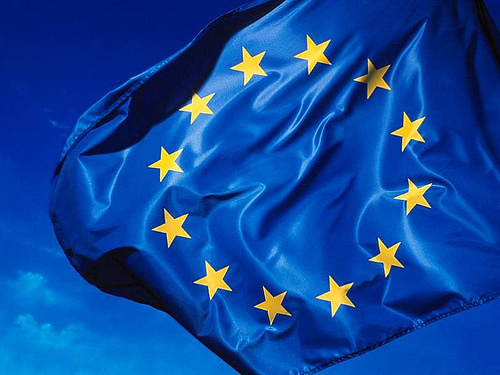 The European Union (EU) has overseen splendid economic achievements. A sign of that great success has been the EU’s continuous enlargement. The eurozone is the crown jewel in the process of European integration, but it is also its weakest component. The EU’s most glorious attribute, the eurozone is now synonymous with harsh austerity measures, protests and no prospect of any remarkable growth in many countries for years to come. Obvious rifts between the EU’s countries are shaking its foundations like never before. The EU has passed through many crises (approximately one a decade) and always exited stronger. This time may be different. The EU may weather the storm. It may, however, end up as a big and important group, but not a very happy family of nations. The first decade of the 21st century was ‘lost’ for the EU, while the second decade may prove to be the epoch of its diminished global relevance. This is a pity as Europe has taken the reins in many global issues, such as environment for example. What is the story that the EU would like to tell the citizens of the future? The past stories are known: peace, economic prosperity, the single market, monetary union and enlargement. Is the new story a green economy and growth? Or perhaps the EU integration currency is not a part of this story but instead a Venice-type lifestyle that many would like to enjoy. Unfortunately, as in the Venetian Republic (697-1797) and modern-day Venice, only a relatively small (and dwindling) number of people are able to afford such an existence, just like in the late Soviet Union. The EU’s success increasingly depends on the overhaul of the economic system and the integration of immigrants. The Venetian Republic failed to live up to this tall order of things, but still lived well for centuries. The EU ought to keep this important lesson in mind. Regulation and more regulation is the EU template. The Lisbon Treaty is a dull and mysterious document. Instead of a single understandable document, it contains amendments to the existing treaties. The Lisbon Treaty is therefore incomprehensible to people with average intelligence and education and a paradise for lawyers, consultants and masochists. It was deliberately made such in order to rework and recycle the draft EU constitutional treaty (rejected in a referendum both by France and the Netherlands in 2005). The EU was built, kept and flourished on voluntary integration, solidarity, perception of a common future and political handling of diversity. An emerging new EU (post 2007-09 financial crisis, based on the pre-crisis Lisbon Treaty) is turning more towards an intergovernmental EU, not the one that is based on the ‘community method’ of organisation and leadership in which there is a constant primacy of European over national interest. An emerging new EU is turning into a group of countries centred around punitive rules based on the implicit or explicit German template. Is Germany alone in the EU cockpit? Political handling of diversity is being replaced by a straitjacket. Just how appealing this new fashion will be in the future is another matter. The eurozone rescue deal to control and approve how countries tax and spend shows that the national sovereignty of many countries is fading away, bit by bit. If voters cannot vote on the national budget (taxes and expenditure), what are they voting for? Apart from the loss of sovereignty, employment prospects for the younger generation may be wrecked, while this all provides energy to extreme political movements and fuels their ideas. If the eurozone falls apart, all bets regarding the EU are off. If the eurozone survives the crisis, the nature of the EU may change beyond recognition: there would be fiscal, banking and political unions. There would likely be an EU commissioner who would have authority over national budgets. An appointed EU financial ‘Kaiser’ would be able to control and overrule what the people democratically voted for through their governments. To the federalists, this development may be the goal of integration; to others this sounds frightening. Economic integration and the loss of sovereignty were palatable to European countries in the era when there was a vision and expectation of economic prosperity. At a time of crisis, austerity, public protests and a dim hope of economic prosperity, EU countries are re-evaluating their national positions on the EU and doubt if giving up more of their sovereignty is to their advantage. While some countries (Britain) may be on the way out of the EU, other EU members look on with sympathy (or pity) as nations from the Balkans make clear their desire to join the group. Public opinion in EU countries holds certain reservations about the EU. Incidentally, the EU is often highly praised in the countries that would like to join it or model their integration project on the EU example. Doubts about the EU may be transitory and shallow. Many have forgotten what Europe was like when it was divided. Strong fences rarely make good neighbours. Cooperation and the lifting of barriers had commendable results in Europe, which has never been more democratic, free and united (at least until the eurozone crisis) on voluntary bases. Only someone without reason would wish for Europe to return to the horrors that produced clashing fiefdoms throughout the 19th century and the first half of the 20th century. The Nazis were defeated, the dictators were ousted and the communist Soviet Union fell apart. Many things that European integration brought to its citizens are taken for granted: peace, studies abroad, free travel and work in another country and no customs checks. Many young people do not even recall seeing or using any money other than the euro. All of this is the European integration currency that ought to be preserved if the alternative includes the possibility of a return to the conflicts and wars that punctuated the past. Miroslav N. Jovanović is an economist who works in the Transport Division of the UN Economic Commission for Europe in Geneva, Switzerland. He completed his education in economics by shuttling between the Universities of Novi Sad, Belgrade, Amsterdam and Queen’s University (Kingston, Ontario). After working in the petroleum business, he joined the UN in New York in 1989 where he worked in the Centre on Translational Corporations. In 1992, Jovanović moved to the UN Economic Commission for Europe in Geneva. He was a visiting faculty at the annual European Summer Academy in Spetsae, Greece (The Hellenic University Association of European Studies and Panteion University, Athens) where he acted as the Director of Studies (1992-2006). In 1996 he was appointed Senior Research Fellow at the European Centre for Peace and Development in Belgrade, a European Branch of the UN University for Peace, and from 2007 was a Visiting Professor of Economics at the same institution. Megatrend University in Belgrade appointed him as its Visiting Professor of Economics in 2008. In addition to The Economics Of European Integration, Jovanović has written and edited a number of other books, including: International Handbook On The Economics Of Integration (Volumes I, Ii, Iii), Economic Integration And Spatial Location Of Firms And Industries, and The Economics of International Integration.